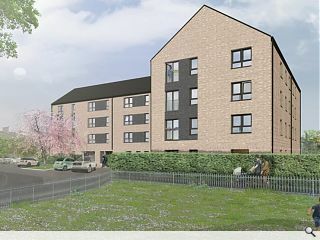 Barton Willmore has prepared plans for a 26 home development at Crewe Road Gardens, Pilton, as part of the City of Edinburgh Council’s small sites programme. Designed to knot into the surrounding streetscape the social housing project takes the form of twin flatted blocks framing a large open space to the north. The homes will be faced in grey brick with windows delineated by feature dark brick panels. 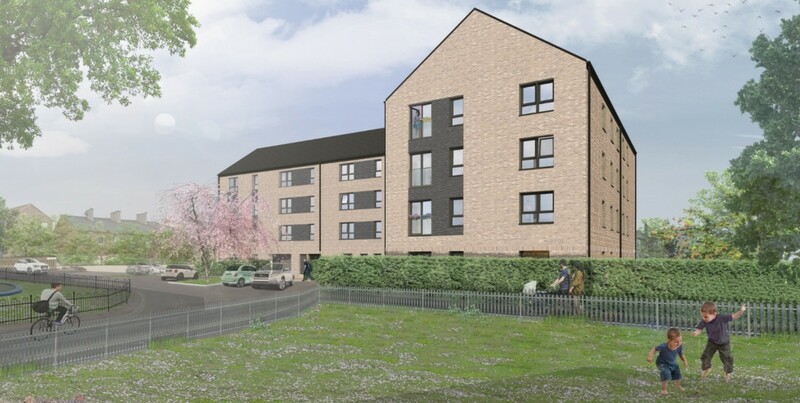 Do you think they produced this CGI and thought "hmm that needs a little work", or thought "stuff it that will do"
Loving the way they take inspiration for their window pattern from the (nicer) old council housing on the right. Barton Willmore seem to be using Siberian labour camps as the design template for all their projects. Its the Small Sites Initiative, without any initiative.